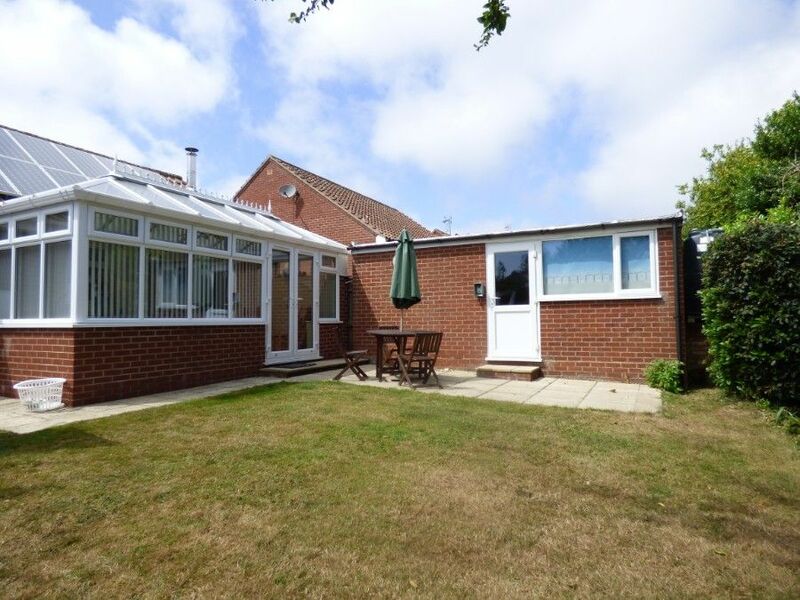 Harpers is a detached bungalow situated in a quiet position within a short walk of Burnham Market's village green and its excellent selection of shops, galleries and the renowned Hoste Arms hotel. With 3 bedrooms and 2 bathrooms and the advantage of central heating and a wood-burning stove, Harpers is a comfortable place to stay throughout the year for 2 couples or a family. Kitchen: A contemporary fitted and well-equipped kitchen with built-in Smeg double electric oven and hob, built-in dishwasher, built-in fridge/freezer, washer/drier and microwave. There is a door opening onto the garden. Sitting Room: Light and comfortable with a wood-burning stove, dining table seating 6, sofa, armchairs, Free Sat Smart HD TV, Blu-ray player. Double doors leading to Conservatory. Bedroom 1: Double bed, bedside tables and lamps, large built-in wardrobes with drawers. There is a en suite shower room with a walk-in shower, hand basin and WC. Bathroom: Bath with shower over, hand basin and WC. Conservatory: Dining table and chairs and double doors leading to the garden. Please note there is a highchair available at the property. Off-road parking for 2 cars in the driveway. Fully enclosed rear garden which is part lawn and part paved with garden furniture and a barbecue. Secure storage, eg for bicycles, in the locking garage store. 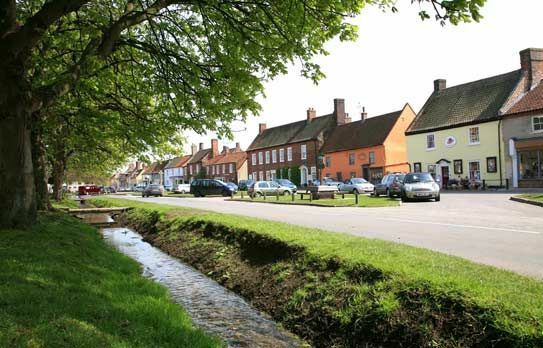 It's a short walk to the village green via a pedestrian walkway next to Burnham Stores. Clean, comfortable and one level. Lovely welcome pack and you can tell that an effort has been made to welcome guests. Better than expected. Larger and better equipped. Spotlessly clean! Handy location and lovely home. Perfect for us! Harpers was better than we expected. It is peaceful and private, with an enclosed garden and parking for the car. We hope to return soon. Really well equipped and liked the welcome gift and the decorations. Great beds and loads of kitchen utensils. Great experience from booking to sadly leaving at the end of the week. Loved the location, handy for shops but still quiet and peaceful. Perfectly set out and equipped. Lots of different wildlife too, which I enjoy - birds, butterflies, etc. The trees and shrubs at the back of the garden were a favourite. Very spacious, as my mother is disabled it ticked all the right boxes. Excellent location, excellent all round! We have booked the same property again for May because we had such a good time. Really lovely cottage, very well thought out, very organised and laid out. Loved staying and can&apos;t wait to come again. We have had a lovely stay in Norfolk the cottage was great just what we needed. Great location and well equipped. Overall we enjoyed our stay and would definitely recommend to others and would like to return ourselves! A beautifully equipped, bright and sunny and easy to run holiday home. We (the grandparents and dog) stayed at Harpers whilst the rest of the family lived in another rental nearby - a perfect arrangement! Buckle, February 2015: "Warm, convenient for village and coast, thoughtfully kitted out accommodation"
The standard and amount of fittings and equipment was far higher than experienced in other properties. The garden was completely enclosed for our cocker spaniel. The bungalow was very well equipped and the information concerning appliances etc, was incredibly informative and easy to understand. Parking was a delight and the bungalow only a stones throw from the village. We loved it and would certainly return. Conservatory obviously a great asset. Clean, unfussy and modern/contemporary yet homely. Very well equipped and had everything you could need. Good quality and a lovely holiday home. We found the bungalow very comfortable and ideally situated especially with the off road parking. Having two bathrooms and the conservatory makes it ideal. A very useable space for 3 generations! Quiet and excellent location.